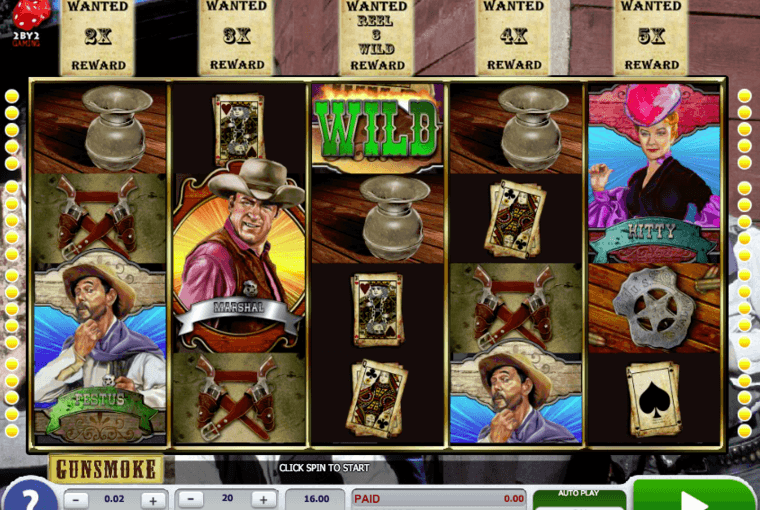 Ride into the Wild West and shoot your way to colossal wins with our spirited slot inspired by the classic TV series. Follow Marshal Dillon as he guides you through Dodge Town helping you multiply your wins up to 10x with the Wild Awards. The Marshal will choose which bonus round you trigger when you land 3, 4 or 5 scatters on the reels: will he shoot at up to 20 free spins or will he hit the Shootout Bonus with cash prizes and extra free spins up for grabs?